Lucy Burke and her band will perform live. Also featuring Reckless Remedy. Lucy Burke is a singer-songwriter from Sydney. She performs with her band in the style of acoustic pop jazz and delights audiences with her original music and selection of covers adapted to suit her style. Reckless Remedy are an original and covers blues rock band. They'll be performing a selection of original music with some classic covers thrown in for good measure. 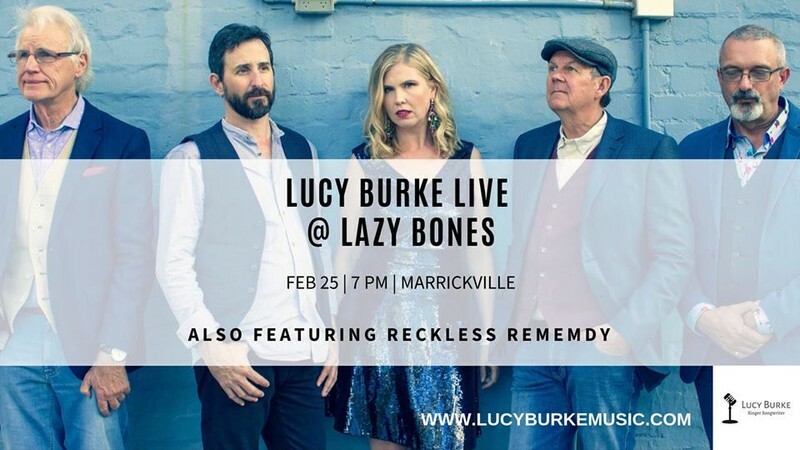 Located in the heart of Marrickville, Lazybones Lounge Restaurant & Bar delights music lovers with its eclectic decor and quality sound. It is a restaurant and bar with a unique, relaxed atmosphere where people can meet, hang out, chat & listen to live music. Restaurant from 7pm and is a child friendly venue.